help2read is a child literacy organization that currently operates in almost 100 primary schools in South Africa. Our objective is to empower disadvantaged learners with vital literacy skills and to encourage a love of reading. help2read’s vision is for all children to leave primary school literate and enjoying reading. South Africa faces some of the biggest challenges with regards to illiteracy. According to the Progress in International Reading Literacy Study (PIRLS 2006), almost 80% of South African learners have not developed basic reading skills by the time they reach Grade 5.
help2read’s model is simple and effective. Working in developing countries, we recruit, train and support literate adult volunteers from local communities to help disadvantaged primary school children who struggle to read. help2read’s volunteer reading helpers work on a one-to-one basis with each child. Their reading sessions last half an hour and and are entirely child-led. Very quickly, the children start to enjoy themselves and look forward to reading instead of dreading it. Reading helpers and children sit in a quiet place outside the classroom and read together on a weekly basis. The reading helpers make reading fun, so sometimes they’ll play a game too. This helps build rapport between the pair and allows the child to develop in confidence and self-esteem. 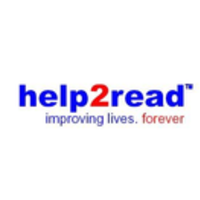 help2read provides the schools and reading helpers with a box full of interesting and fun books. Children soon find a book that excites them and quickly learn to love reading. Individual children are helped for up to a year. •	To date, over 6000 learners have been equipped with vital literacy skills, enabling them to improve their results across their full range of subjects. •	Additionally, over 1400 community members and parents who volunteered have been equipped with skills to work with struggling learners. Volunteering is a positive experience which builds self-confidence, self-worth, skills and job experience.